I’ve been MIA for awhile…for the best possible reason. I’ve been spending time with my sweet baby boy! It has been so much fun and I couldn’t love this kid any more. 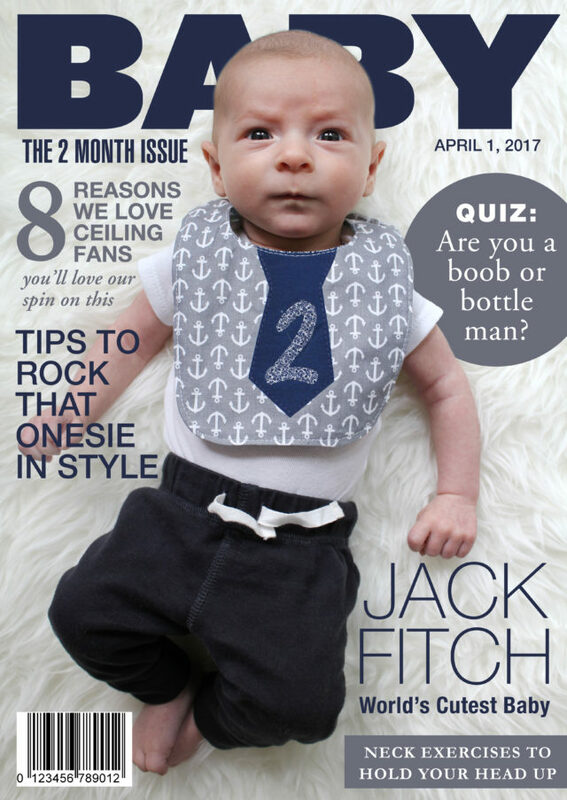 He recently turned 2 months and I made him a cover model to celebrate :) Since this is the only creative thing I have done in awhile this will have to hold you over. But I promise I will be back soon! I have some projects I did in his nursery to share and I am going to get back into posting recipes and other DIYs in the near future.